Those totally cool guys at Evil on Two Legs selected VeVo for these awards, here… The Fantastically Frightening Award, Kreativ Blogger Award, One Lovely Blog Award and the Zombie Chicken Award! Yay, someone actually reads this tripe blog! This means I can now (kinda) say that Vegan Voorhees is an award winning blog. More yayage! 2. 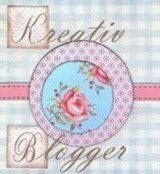 Copy the Kreativ Blogger Award logo and place it on your blog. 3. Link to the person who nominated you for this award. 4. Name 7 things about yourself that people might find interesting. 5. Nominate 7 Kreativ Bloggers. 6. 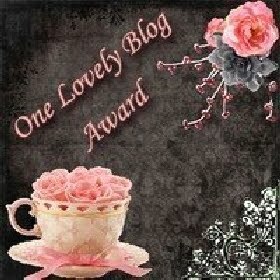 Post links to the 7 blogs you nominate. 1. In spite of being a huge slasher movie fan, I can’t watch footage of operations or hospital shows. 2. I was terrified of Freddy Krueger between the ages of 12 and 19 after somebody showed me Elm Street 3. 3. Aside from this blog, I write a lot of fiction and published my first (short) novel The Beaten Track in October 2009. 4. This one time, I worked at a delicatessen in a large supermarket and I dropped a massive cut of slimy ham on the floor, it rolled under a cage and was black with dirt when I retrieved it and my manager made me rinse it off and put it out for sale! 5. I have two thumbs but only seven fingers – ooooh! 6. I share my birthday with Kathleen Turner and Zoe Saldana. 7. I once won a karaoke contest singing Heaven is a Place on Earth. Anchorwoman in Peril – wonderfully written by a great bloke! I Love Horror – and I love your blog. Kindertrauma – this was already nommed by EO2L but I’m sending additional love. Slasher Speak – Vince is a very articulate writer, giving a fresh voice to much of what he writes about. Zombie Cupcake – another unsung blog I like. Hysteria Lives! – this isn’t really a blog but Justin’s style of updating isn’t far off… Is this allowed?? …and the Zombie Chicken Award! tagged with me me me!